Glad to see the LAAT spawning is now random so you can't spawn kill the LAAT now with the AAT. The only problem left with is now is that the laser is very consistent on damage. Sometimes you get hit markers and sometimes you don't. This makes it impossible to take down a average to pro AAT player. Even if you have a pro LAAT vs a pro AAT player, the AAT will always win, even when caught off guard because the damage is not consistent. So by firing your laser all you are doing is tickling the AAT to say "hey i'm over here". And that neon green laser going off like you are at a rave party is just calling for attention worse than my first ex girlfriend I had back in high school. There needs to be a balance. I get the AAT cost more so therefore more powerful but a skilled player in an LAAT needs to have some sort of edge over an AAT player as the LAAT is too easy to take down. Person, I get we can't have an overpowered laser, so it's the hit detection when shooting at an AAT. But even then LAAT is going to still lose too often even if better skilled. 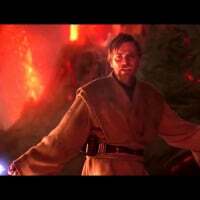 What they should also do in a future update is make it so players can descend and ascend to make hitting the LAAT a lot harder. That way you don't need to buff the LAAT health or make the laser do more damage and make the scales unbalanced. it instead makes people shooting at the LAAT have to adjust their aiming. It wouldn't be super fast altitude change but a small height different, enough to dodge fire better. And also the ability to slow down the LAAT when aiming. There is a problem, that you can also see in the video, where the lag and jerkiness of the aiming is thrown off constantly because when zooming in the LAAT is moving too fast for the aim indicator to stay in position, something I have found an annoyance to since I first started using the LAAT. Also when slowing down the LAAT you are getting a risk/reward situation. if you slow down you can get more accuracy and possibly more kills, but you leave yourself vulnerable to more people hitting you better, also you can't ascend or descend while zoomed in. 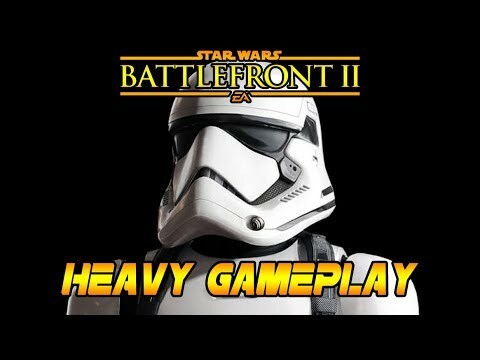 Without buffing the damage, fixing the inconsistency damage hit marker issue and that you can ascend and descend the LAAT and be able to slow down while aiming. This will make the LAAT, and even for U-wing, better without making it OP because you are not increasing the damage and instead relying on the player to have to use the gunship better. Currently the gunship is on a rail and so it makes it too predictable to take down with little effort. I also posted a video on my channel where all it took was a sentry gun and I could shoot it out of the sky withing missing a single shot because the path is too simple. By doing this you are adding a small, not huge, skill curve for both the gunship users and the opponents at the same time. Thus improving it on both end without making the casual player have to make a huge leap in learning curve on using/taking down the gunship. So it works out perfectly. Please make this happen, it would be a huge improvement on gunship gameplay. It really is needed.